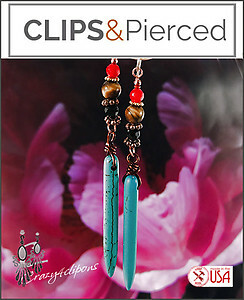 Pierced or clips: Earrings DESIGNED JUST FOR YOU! 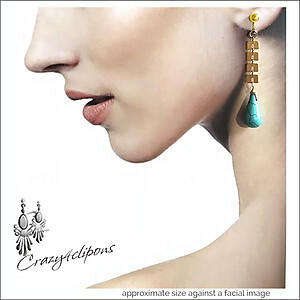 Dedicated to fashion forward trendsetters, Crazy4Clipons stops fashion stereotypes in their tracks. 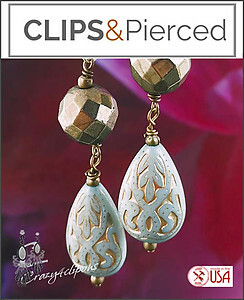 Offering stylish, comfortable, unique pierced & clip earrings for everyone. 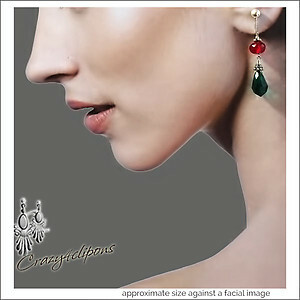 We're making the earring-world our catwalk. 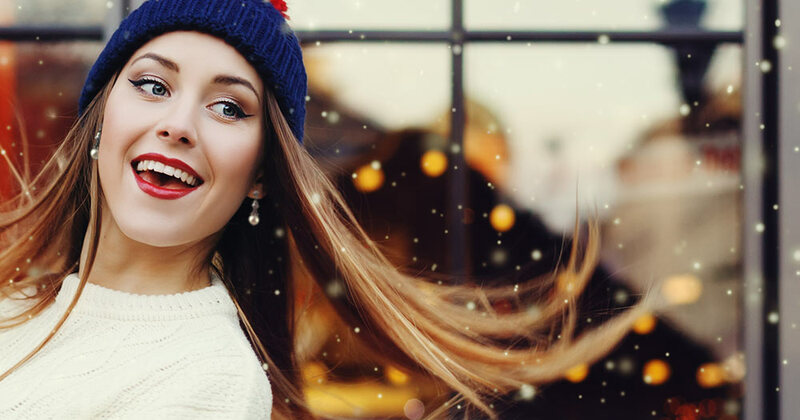 Come on in and strut with us! 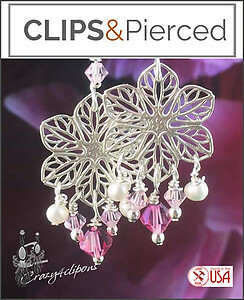 Pierced & Clip Earrings for Brides & her wedding party. Choose from a large selection of hand-crafted earring styles for your maid of honor, bridesmaid, mother of bride, mother of the groom and, of course, your flower girl. 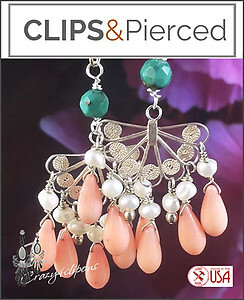 We carry an exclusive selection of high quality, delicate clip earring styles for young girls 7+ years. Note: All of our kids clip on earrings are 100% Sterling Silver. Non-lead. Non-nickel. 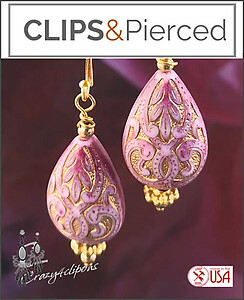 You think having non-pierced ears will stifle your choices? Not a chance! Do you like pierced-like earring looks? or, comfortable screw-back closures? 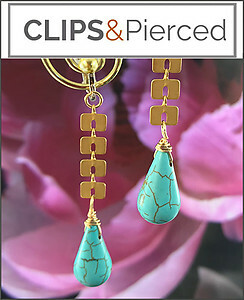 We build our earrings in-house so you can choose your styles, your colors and your earrings findings. 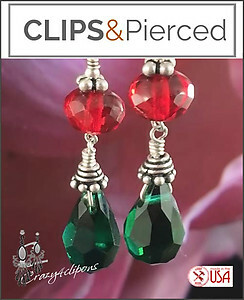 If you decide to pierce your ears soon, or at a later time, you can request a conversion for all your Crazy4ClipOns clip earrings at a low cost. 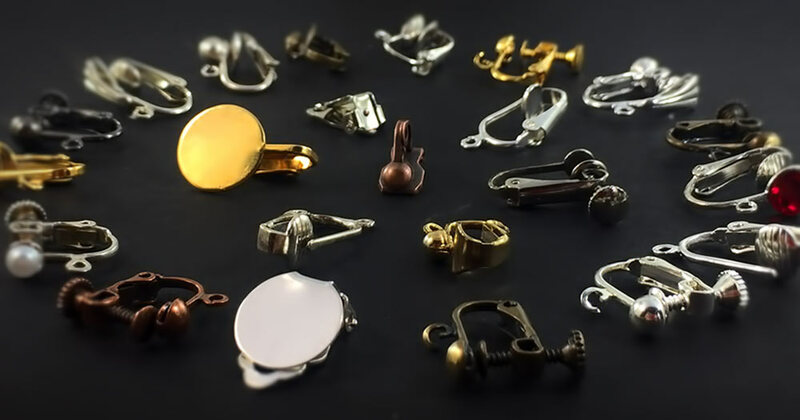 If the earrings were been built for both pierced and non-pierced ears, we will make the conversion for you for a low fee. My niece received her package of 2 children earrings a couple days ago. I wasn't there to see her open them but I was on the phone when she did it. Her loud screams were enough to tell me that she loved them and she wore them to school the next day!..."